73,600 unique visitors use this site every month, from every corner of the world, giving inmykonos.com a truly global outreach. 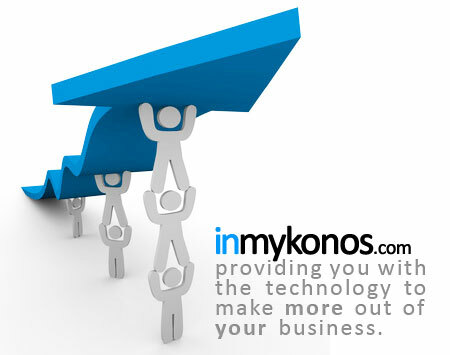 At inmykonos.com we invest in building long-term relationships with our partners. We are dedicated to understanding your needs and in helping you reach your desired objectives. Our promise to you is measurable results; our custom-made tools have been designed to analyze and provide easy-to-read statistics and figures on the views and hits of your advertisement. Why advertise with us? Because we are not just another travel guide! We are the most comprehensive, interactive and up to date website available for the island of Mykonos. For the sceptics, we challenge you to browse through other Mykonos related websites (also available in our Directory) and make an informed decision for yourself. We want to focus on what is important for you, and encourage you to contact our team to discuss the exposure you require and how inmykonos.com will work best for you and your business. Email our team at [email protected], or call +447773021801 to arrange a personal meeting in Mykonos with a member of our Greek speaking team.